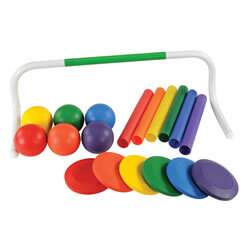 Sports and fitness equipment encourages children to develop coordination skills and develop muscle control. 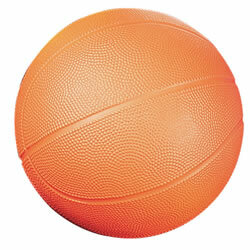 Kaplan's selection of bowling, basketball, yoga, and balls are ideal for enhancing these qualities. 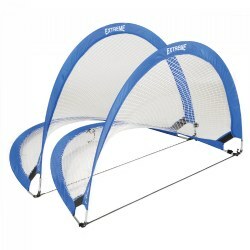 Items such as activity and exercise mats, swings, and batting tees accommodate a range of ages and abilities. 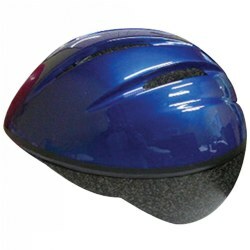 Safety and maintenance items such as helmets, stopwatches, and air pumps are also available. 5 years & up. A safe action-packed two player Dodge Ball game! Each player wears an air mesh vest and takes two balls. While running and dodging, players throw the small soft balls and try to stick them to their opponent's vest. If the ball sticks, it's a hit! 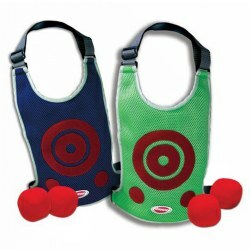 Includes 2 adjustable air-mesh vests and four soft dodge balls.Winner of the Family Fun T.O.Y. Award, Parent's Magazine Best Toy Award, Learning Express Best Boys Toy and Fun Fare Best Toy Award. 3 years & up. 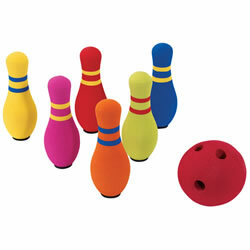 Six pin bowling set includes flat bottomed pins and foam ball. 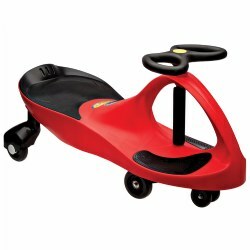 Great for indoor play or out. Set is packed in sturdy zippered bag for portability and storage. 18 months - 5 years. 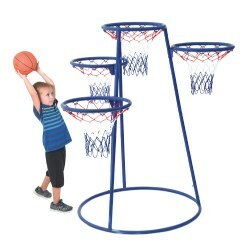 This Little Tikes Totsports® Easy Score™ Basketball set is adjustable and encourages active play. 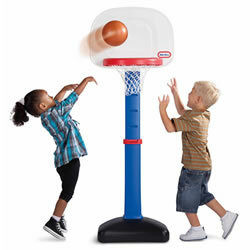 The Easy Score™ Basketball set introduces children to competitive play in a way that allows them to succeed with the right amount of challenge. Adjusts to six heights, from 2 to 4 feet. Includes an oversized rim and a junior sized basketball. Base must be weighted with sand (not included). 22"L x 23 3/4"W x 61"H. Assembly required. Made in the USA. 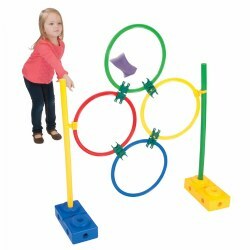 Create beanbag targets, obstacle courses, and so much more! Use indoors or out. 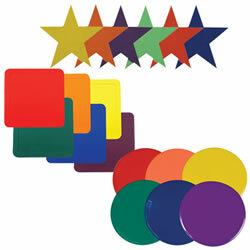 Includes 18 vinyl mats in 3 shapes and 6 colors. Square mats are 14"W, Circles and stars are 9"W.
5 - 7 years. 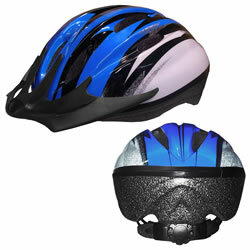 Protect children with these safe, attractive helmets! 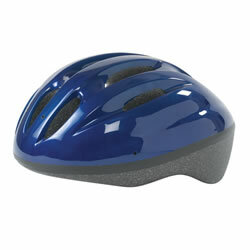 This CPSC Approved premium helmet is classic and aerodynamic. Fits average 5 to 6 year old child with a head size of 19.68" to 21.88". Clean with mild, soapy water. Features reattachable visor to protect from the sun and other elements, 6 vents for air circulation and adjustable chin straps. Also includes Occipital Lobe Retention System for added stability. 4 years & up. Stretch, strut, waddle, prance and stroll! 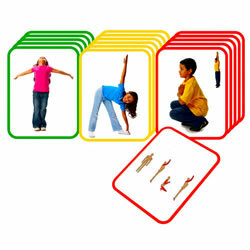 Use this set of 16 cards to lead children in safe, fun, and healthy exercises. Cards are divided into three categories, easy, intermediate, and challenging. 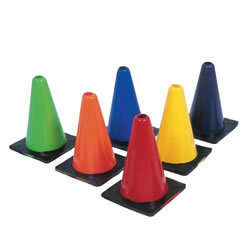 Create beanbag targets, obstacle courses, and so much more! 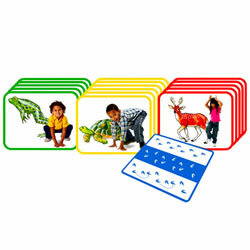 These versatile Square Activity Mats make a great addition to indoor and outdoor activities. 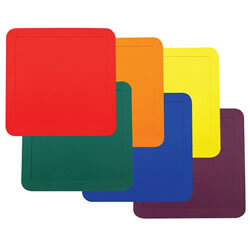 Mats are features in red, orange, yellow, green, blue, and purple. Made of non-skid vinyl that won't tear or rip. Mats measure 12". 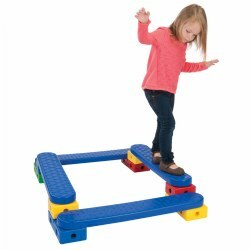 Included: 6 Square Activity Mats. 7 - 12 years. 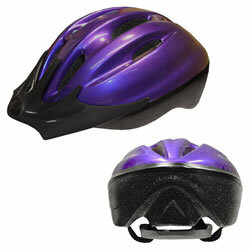 Protect children with these safe, attractive helmets! 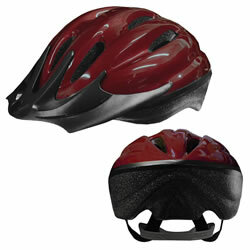 This CPSC Approved premium helmet is classic and aerodynamic. 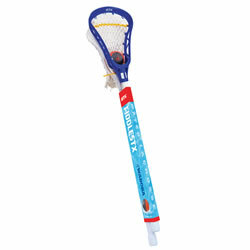 Fits a 7 to 12 year old child with a head size of 21.88" to 23.75". Clean with mild, soapy water. Features reattachable visor to protect from the sun and other elements, 6 vents for air circulation and adjustable chin straps. Also includes Occipital Lobe Retention System for added stability. 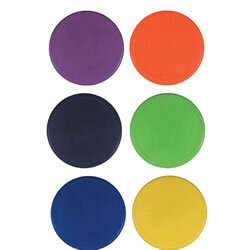 Create beanbag targets, obstacle courses, and so much more! Use indoors or out. Includes 6 colors. 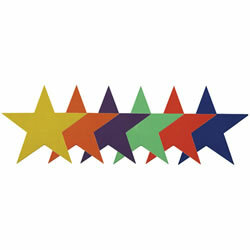 Stars are 9"W.
Bright, pliable cones coordinate perfectly with our colored playground balls. Set of 6, one of each color. 12" H.